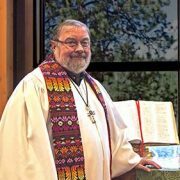 Pastor Tom Towns is a graduate of Johns Hopkins University, where he studied ancient Middle Eastern languages and history, and Eden Theological Seminary, where he earned his Master of Divinity. Born in Fort Wayne, Indiana, Tom was raised in St. Louis, Missouri. As an Inpatient Psychiatric Registered Nurse, to earn funding for his Masters degrees, Tom worked for almost 30 years in University Hospitals in St. Louis, Baltimore, and Salt Lake City, caring for the acutely mentally ill. He comes to Estes Park from Cortez, Colorado in the Four Corners area and Mesa Verde. 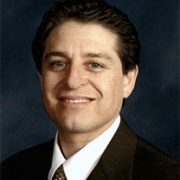 Jim is originally from Houston, Texas and recently retired from a successful career in IT. He is currently working toward his Master’s Degree in Clinical Mental Health Counseling, and is looking forward to becoming a mental health and addictions counselor in the future. 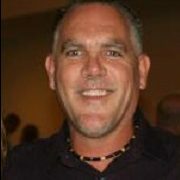 He enjoys all sports, hiking and climbing, reading, movies and golf and loves living in Estes Park. Jim is grateful to be able to serve this remarkable congregation. Linda was born and raised in Red Bank, New Jersey, and attended High Point College, now High Point University and obtained her degree in Music with a minor in Education. She taught Jr. High School Music for one year and then started a family. She served as the accompanist for the choir at the Estes Park Elementary School for 5 years and has served as our church’s Bell Choir Director for the last 10 years. Linda has three children: Stephen in Longmont with new grandson Wilde; Darren and James live in Estes Park. Pastimes include work, work, and work!! When there’s time, Linda loves music, reading, playing pool, knitting and crocheting, and driving her ’79 VW convertible! She is also trying to renew her interest in golf and bowling as well as playing the guitar. Nancy grew up in Windsor, CO obtaining her degree from Colorado State College (now University of Northern Colorado) in Foods & Nutrition. Nancy worked for Kodak Colorado for seven years until she had her first child and then she stayed home and raised her family. Her daughter Jill and family are in Fort Collins and son Russ and wife are in Windsor. After they left home, Nancy worked for a CPA and temped at Kodak briefly. At the Windsor United Methodist Church, Nancy played duets with the organist and substituted for her as needed. Nancy likes to hike, read and she is part of the Trail Ridge Quilters who raise money for the Estes Park Medical Center. 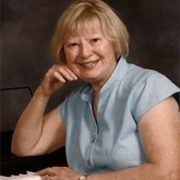 June Gamet has been a resident of Estes park since 2001, and has been a keyboard musician all her life. She attended Graceland University where she received formal musical training, as well as the Independence School of Nursing, where she received her RN. She has continued her organ study in four states. 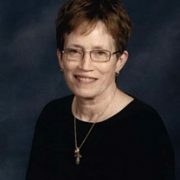 She has served as principal organist for Lutheran, Catholic, Methodist, and Episcopal churches in Colorado and Louisiana, and has performed organ recitals in California, Louisiana, and Colorado. She has accompanied many church choirs during her career, as well as school and community musical theater. June is a member of the American Guild of Organists, earning her Service Playing certification in 2007. She is currently the rehearsal and performance accompanist for the Mountain Men Chorus in Estes Park, as well as the Estes Valley Chamber Singers for the 2017 summer schedule. She enjoys playing church services for both the United Methodist Church of Estes Park and the Presbyterian Community Church of the Rockies. Serigo Aguilera Conejo was born in Guanajuato, Mexico, and attended high school in Salamanca, Mexico. Sergio came to Estes Park in 1993, fell in love with the scenery, and has been a year-round resident ever since. Sergio has a son, Jesse who loves school. They enjoy going to the movies and traveling together.